His Excellency Prime Minister Dr.Haider Al-Abadi has received The Coalition for Democracy and Justice Chairman Dr.Barham Salih. During the meeting, they have discussed the developments of the political situation, solving of the problems between the federal government and the region, reassuring that the constitution is the basis for solving the problems. 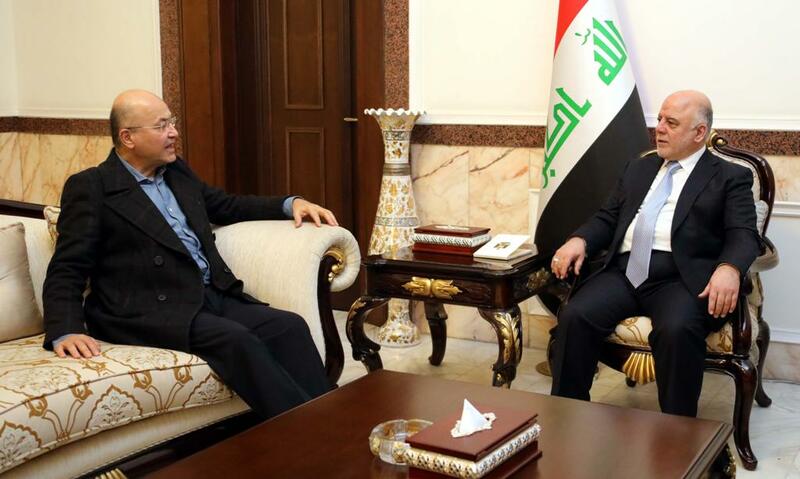 Dr. Haider Al-Abadi has confirmed the government's keenness to expedite the payment of salaries in the region, especially the ministries of health and education within the approved contexts and after completion of the audit of the committees formed for this purpose, as well as the reopening of border ports, including airports according to federal legal contexts.